With numbers that record-breaking every year, the 53rd annual Marmomac 2018, already has date on the calendar. From 26th to 29th of September, the exhibition centre of Verona, Verona Fiere (Italy), will accommodate companies and visitors of lytic sector. Professionals of machinery and tools, companies of natural stone and marble sector, as architects, engineers and designers will be able to enjoy the various labour opportunities of this global event. Seeing the numbers of last edition, Bateig comes back to be a part of this event. Marmomac 2017 registered more than 1,600 exhibitor companies, of whom 64% were from 56 foreign countries. Moreover, about 68,000 visitors, of whom 60% were foreign (147 different nationalities). The international exhibition of marble, natural stone, design and technology is focused this edition on its most global side, and since has become customary, there will be no shortage of conferences, exhibitions and seminars. Neither annual prime awards which the design value, both in terms of materials (Icon Awards, which will become the promotional image of the next edition of Marmomac), as for the exhibitors (Best Communicator Awards). More than a month and a half before the start, more than 80,000 square meters of Marmorac 2018 area it is already depleted. Bateig is more than 7 consecutive years attending to this event, so you can find us on our stand, located in the Hall 6 E-2. We will put at your disposal all our exclusive variety of Bateig stone, a natural stone which form part of numerous projects around the world. Some of them such emblematic as Cathedral of Almurena (Madrid, Spain), City Hall of Madrid, or Burj Khalifa of Dubai. 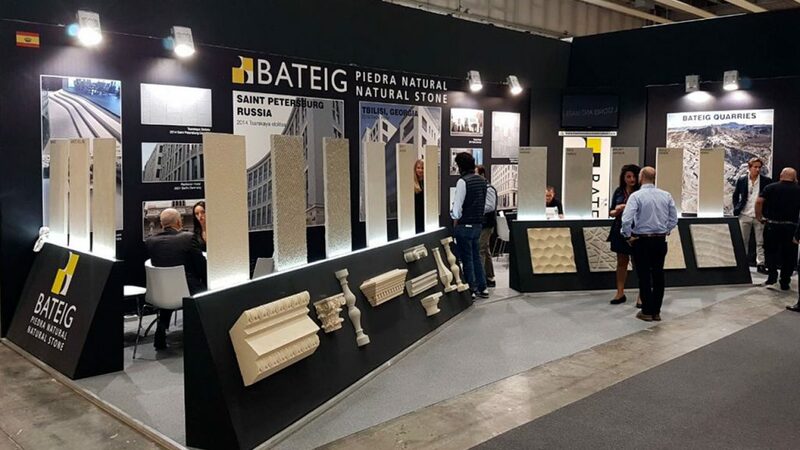 Our team will inform and assist you about our stone Bateig, which you can find out first-hand information in the form of samples and catalogues. You will realize that this material is perfect for any type architectural project, both indoors and outdoors. 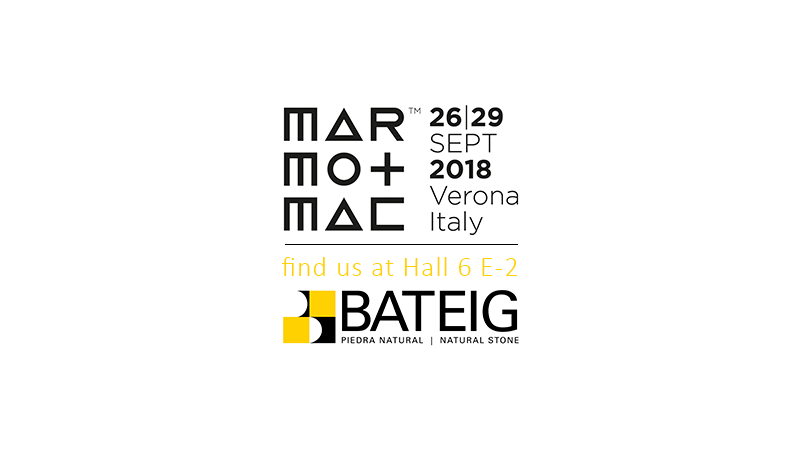 The relevance of Marmomac 2018 is undeniably as an advocacy reference platform for a company such Bateig, where commercial opportunities continuously unfolds between exhibitors and visitors.